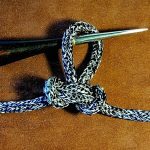 The wonderful thing about this method is, that it really only involves wrapping a rope around the hand three times. Once you have your three turn it is just a matter for taking one of the leads a and passing it under the next, over everything and then back under everything. 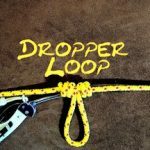 I have now read what I wrote and I think best we let the video do the demonstration of how to tie the Alpine Butterfly Loop. 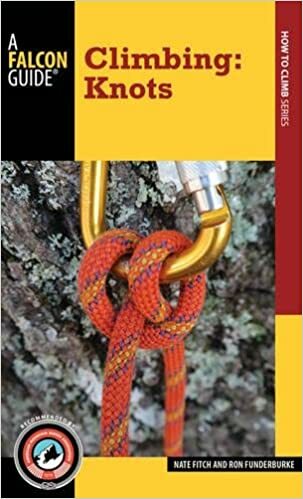 The Alpine Butterfly Loop is particularly useful if you need a loop in a rope that is away from either ends. It can also be tied without having to use either ends of the rope, in other words in the bight of a rope. Numerous loops could also be made for hand holds along the length of a rope. 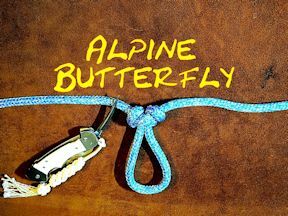 The Alpine Butterfly Loop can also be used to bypass a damaged area of a rope. In other words the damaged part of the rope is within the actual loop of the knot. 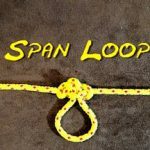 If this is the case, the actual loop should not be used!